◊ Bundles will include the AMG® Line (revised air intakes and fascias), a Night package (gloss-black exterior trim), and an Exterior Lighting package (upgraded LED headlights with adaptive beams). ◊ New touch screen inputs as well as a touch pad and touch control buttons on the steering wheel. ◊ Heads up display which will show speed, speed limits, navigation instructions etc. 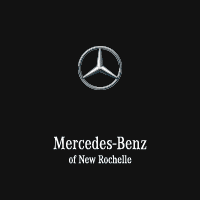 ◊ 4MATIC® all-wheel-drive system, wheel sizes start at 17-19 inches, panoramic sunroof, LED head- and taillights, Apple CarPlay and Android Auto, dual-zone climate control, push-button start, forward-collision warning with automated emergency braking, and Dynamic Select adjustable driving modes. Inquire today to learn more about the First Ever 2019 Mercedes-Benz A-Class!